In the age of advanced technology, many drivers have grown dependent upon their global positioning systems (GPS) providing them with driving directions to get from one place to another. A driver simply plugs in a destination and the GPS provides the quickest route to get there. But sometimes the directions are wrong and can end up taking that driver somewhere he or she does not want to go, or can cause him or her to get into an automobile accident. There have been countless news reports about drivers following GPS directions only to end up in a serious automobile accident. We may not think about it deeply, but we put a lot of trust into the directions that are provided to us by our GPS devices. To some, GPS directions that lead you into a river, leave you lost and stranded in the desert, or cause you to get into an accident seem like a matter of negligence. So, who is liable when GPS directions land you in an accident? Who is Liable For Accidents Caused by GPS Directions? Not only do we have GPS on our cell phones, we have dedicated GPS devices that we can mount inside our vehicles, and some vehicle models come equipped with on-board navigation. We as drivers have gotten into the routine of following turn-by-turn directions given to us by an automated voice that comes out of our GPS. Many accidents that are a result of GPS directions are not actually because the GPS directions were incorrect. Rather the GPS is often accurate to a fault. For example, the existence of a road on a GPS map does not necessarily mean that that road is safe for a vehicle to navigate. Many drivers who end up in accidents due to GPS guidance often tune out their driving responsibilities, and instead let the GPS do all the work. The driver effectively goes on autopilot and fails to remain vigilant and attentive while driving. In some of these cases, if a driver had been paying attention to what they were doing, then the driver more than likely would not have ended up in an accident, even if the GPS directions instruct the driver to continue along the path. An attentive driver would realize that something is amiss and would take corrective action, or stop before having an accident. For example, if a GPS says to go over a bridge, but the bridge is clearly out, an attentive driver would realize that the bridge was out and would not try to cross the non-existent bridge. But that is not to say that all GPS-induced crashes are the result of an inattentive driver. Sometimes the crash is the result of bad GPS directions. In cases in which it is possible to show that the GPS device maker was negligent in programming the GPS software, or there is a defect in the hardware, it may be possible to recover damages for any accident that results from the bad GPS directions under the legal basis of negligence, or possibly the basis of product liability. The realm of GPS navigation error liability is relatively unexplored and unvetted. Few lawsuits have been filed based on bad GPS directions, meaning that very little case law exists on the matter. If you have been involved in an automobile accident that was the result of bad GPS directions, you should consult with an experienced car accident attorney serving Nevada about the specifics of your case. 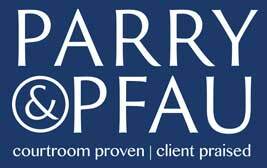 Contact the professionals at Parry & Pfau to schedule a free initial consultation to discuss situation today. Newer PostWhat are the Most Common Causes of Boating Accidents?